We hope our newest #ThankfulThursday finds you well. Today, we reflect and express our gratitude for the generosity and outpouring of support for our Archbishop Thomas Wenski and the 8th Annual Cheers to Charity, benefiting the charitable works of our Archdiocese of Miami. 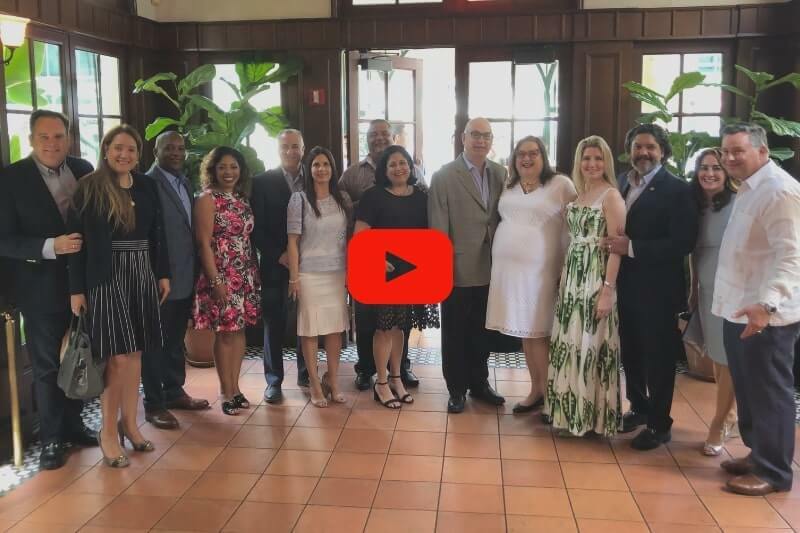 This past Sunday, Marile, our kids, and I were blessed to once again participate with fellow South Florida parishioners alongside close friends, clients & colleagues. We thank all the outstanding civic, community, religious and business leaders who joined Archbishop Wenski — especially our dear friends — Miami-Dade County Commissioner Honorable Steve & Viviana Bovo, City of Miami Manager Col. Emilio T. & Gloria Gonzalez, Chief Judge Bertila Soto & Gabriel Rodriguez, Jannet Walker-Ford & Nat Ford, Gabriela Rachadell & Juan Jose Delgado, and Linda DeMartino & Gonzalo DeQuesada. This year, Cheers to Charity raised over $100,000 benefiting Archdiocesan charities. We ask you to join us in prayer for all the lay and religious servants in our community who each day labor to care, minister and provide for the neediest among us and help guide us all in mind, body and spirit. We thank all the sponsors and especially Miami Beach’s legendary — Joe’s Stone Crab. If you weren’t able to join us, we hope you’ll consider joining Marile and I in donating to this worthy cause! 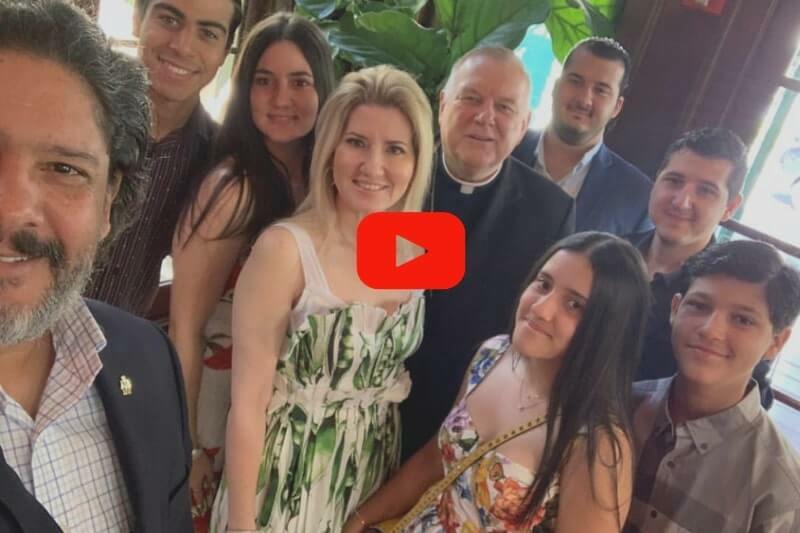 Marile and I look forward to continuing our support to our Archdioceses of Miami and the Annual Cheers to Charity — we hope to see you all next year at the 9th Annual brunch. As always, thank you for taking the time to reflect with us. Know we cherish your friendship and continued support.